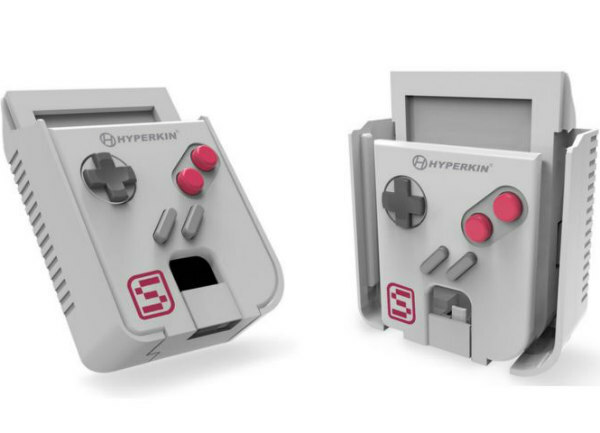 Gamers who like to have their fun at their fingertips will be thrilled to learn that a new smartphone case by Hyperkin called the SmartBoy is going to allow them to temporarily turn their Android-platform phones into a Game Boy. The concept allegedly played out as an April Fool's joke a while back, but now we are hearing that soon it will be a reality. Currently, there are some retro game emulators that do allow game fans to play what would be considered “vintage” titles on their smartphones, but nothing has come along to this extent until now. Back in 1989, Nintendo launched its first 8-bit handheld video game device, the Game Boy, on April 21 over in Japan. Three months later it hit U.S. shores. The wildly popular product went on to sell some 118 million units worldwide before finally being retired in 2003. For those of you who don’t remember, it was Nintendo's second handheld system in its gaming lineup, following the Game & Watch series introduced in 1980. The second-generation device combined features from both the Nintendo Entertainment System and Game & Watch and was originally bundled with the puzzle game Tetris. The upcoming SmartBoy converter case will have the capability to run the original Nintendo Game Boy cartridges, providing access to such classic titles as Donkey Kong, Super Mario Land and The Legend of Zelda, while enabling fans to play both Game Boy and the richer Game Boy Color cartridges. Connecting through USB, the new gadgets come complete with real push buttons to give fans that vintage gaming feel originally afforded by the retro handheld consoles. The SmartBoy cases are said to be designed to fit Android phones measuring between 5 and 6 inches, so they won’t work for everybody. Some of the features for the new SmartBoy converter case are as follows: It has an open source serial app and firmware. It’s compatible with GB and GBC cartridges. It will have a classic handheld-style tactile button set, and it will come with a double-sided micro USB port. The specs include Atmel 90USB646, NTSC/PAL cart compatible, for use with phone sizes of 5-6 inches, SmartBoy Serial App Access for Mounting and Controller mapping, and a 4.4.4 Android KitKat OTG minimum OS requirement. According to Hyperkin’s Website, included in the SmartBoy development kit is an open source serial app and firmware to enable developers of all kinds to advance Hyperkin's current build toward a retail-ready model. The group is offering a royalty percentage (of all retail-ready SmartBoy units sold) to anybody that is able to improve on the device’s serial app and firmware. Updates and builds of those two things can be uploaded to a dedicated Hyperkin Lab forum. At this point, the company is hoping to achieve a December 1 launch date to the public, just in time for Christmas. If you want in on this offer, check out their Hyperkin Lab page. Advertisers Don't Want You to Forget Mom on Mother's Day!